Living in southern Louisiana is truly a gift. Mild winters. Red beans on Mondays. The Saints. LSU.But sometimes living here is frustrating. Hurricanes. Tropical heat. Termites.This time of year termites are EVERYWHERE in southern Louisiana! They’re swarming around lights at night. Splattering on your windshield during the day. Getting whisked out of your pool in the mornings. With the non-winter we just had, the termites are active earlier than usual so now is the time to start looking for signs of trouble in your yard. The pest control guys advertise everywhere about protecting your home from termite damage. 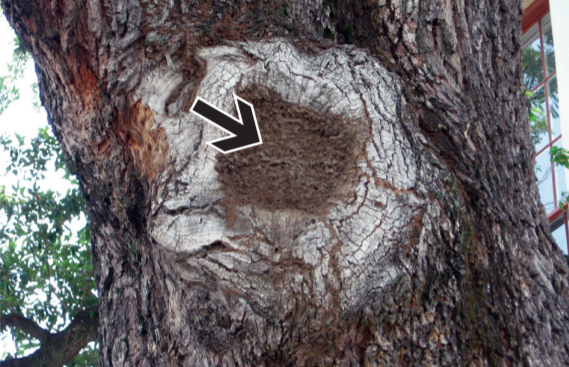 And while termites do untold amounts of damage to homes in southern Louisiana, they also inflict tremendous harm on our local tree population. Most people know that termites feast on “dead” wood, such as the wood used to build homes. However, our most common local termites, the Formosans, eat live trees as well. And they love our local Louisiana trees! In fact, a USDA study found that approximately 30% of the live oaks in New Orleans were infested with Formosan termites. What Attracts Termites To Certain Trees? One word – distress. A tree under distress is a tree which is especially vulnerable to all types of potential threats including disease, pests and termites. 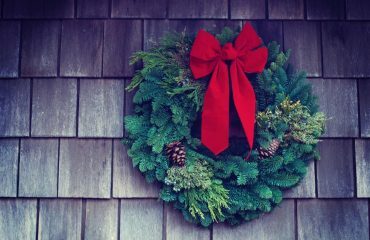 Many things can stress a tree including lack of water and poor soil conditions. 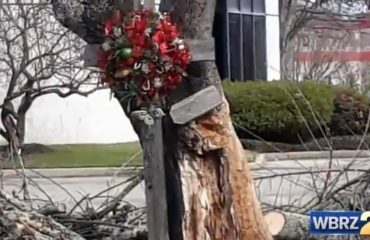 It’s also common here in New Orleans and Baton Rouge to have trees distressed due to damage from a storm. Termite prevention can be difficult, but it is worth the effort. If you’ve had termites in or near your home, it’s a good idea to have your trees inspected as those termites may have traveled underground to nearby trees via their root systems. If you’ve never had termite problems in your home, the name of the game is prevention, and regular inspections are key to detecting problems early on. 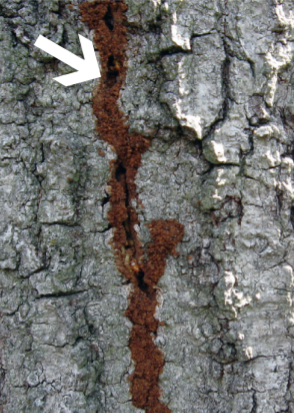 In particular, keep an eye around the base of trees as termites there will be easy to spot. Also watch for mud trails starting at the ground, shelter tubes along the trunk of the tree and swarm castles at limb scars. 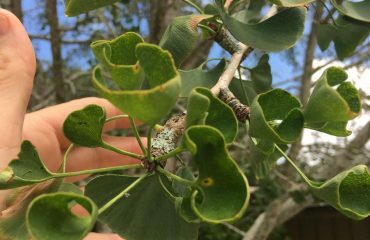 If you suspect one of your trees may have termites or you see damage similar to the images above, we recommend calling a professional arborist for an inspection. Why an arborist and not your termite control company? Termite control operators are experts treat termites within your home or business. But treating a tree with termites is an entirely different matter. In certain cases your pest control company may not even treat trees or offer a warranty to cover their work on trees. Don’t worry. We work closely with termite control companies to make sure the entire area around the tree, home (or business) is treated effectively. This team approach ensures the best possible outcome. The process always starts with an inspection and thorough evaluation of the overall health of the tree and assessing level of termite infestation. Post treatment, regular follow up inspections are necessary to keep an eye on the progress of the tree as it heals. 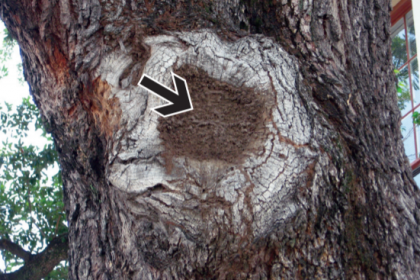 If you have termites in your local southern Louisiana trees, please contact us to schedule an inspection.